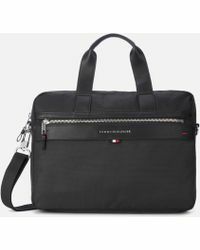 Smart, functional and exuding a classic style, a Tommy Hilfiger briefcase is a timeless accessory that has been made with the needs of modern men in mind. 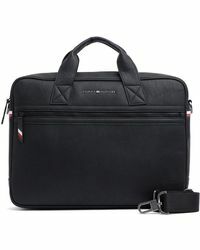 Whether you're looking for a sleek leather case, a work bag or a computer case, this range of bags will cater to every taste and purpose. 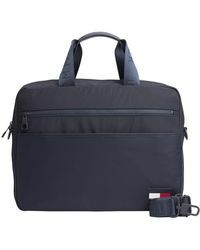 Made in high quality fabrics in muted tones and colours, the cases are both chic and function-led, with space for everything from laptops to daily essentials. 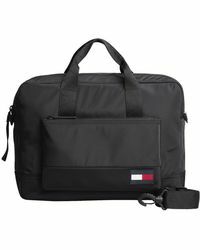 Whether you want something sharp and structured or more relaxed, a Tommy Hilfiger briefcase promises to be an investment worth making. 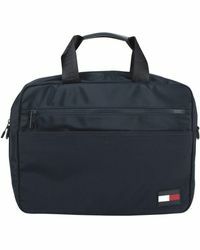 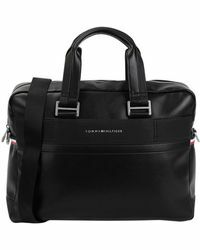 Showing 36 results for "Men's Tommy Hilfiger Briefcases and work bags"